Microsoft Teams is a tool developped to meet collaboration requirementsand and simplify team work ! This new platform groups people, conversations, contents and all the tools needed for a simpler and quick collaboration. Using it will keep all of your team at the same page ! Microsoft Teams: what is it ? 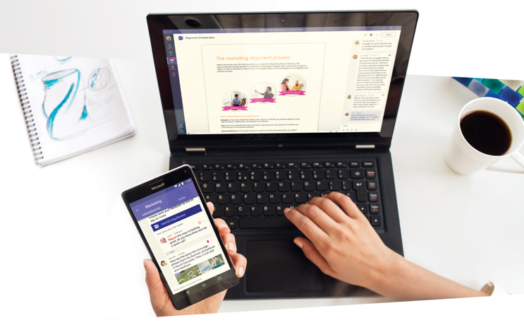 Office 365 users can access quickly their files, contacts, tasks, conversations and tools – such as SharePoint or OneNote – on one and unique platform : Communicate in the moment and keep everyone in the know. Chat in teams, privately one-on-one or in groups. Audio and video calls are just a click away and notifications and chat history ensure everyone is kept up to date. 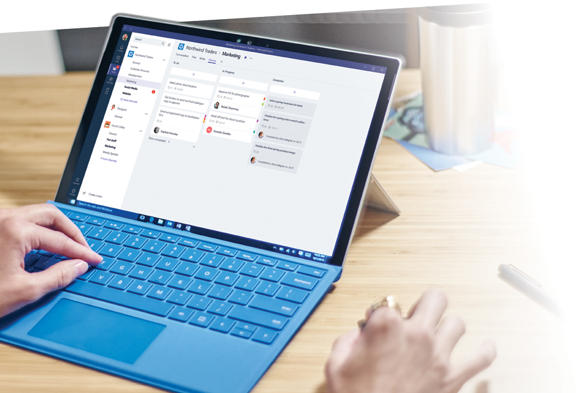 Access Microsoft Teams on any device with confidence knowing it’s been built with enterprise-level security from Office 365. You can communicate in real time via the chatbox or calling, find your data thanks to the archive system, share your files, create a calendar for the team and notes – all in real time. Tailor your workspace to include the content and capabilities your team needs every day. Tabs and Connectors provide quick access to frequently used documents, websites and 3rd party apps such as Trello, GitHub and Asana. We know how complicated it is to organise and find information, retrieve history of conversations and collaborate in real time. This new app enables you to organise yourself more easily and quickly. Microsoft Teams: what are the benefits ? 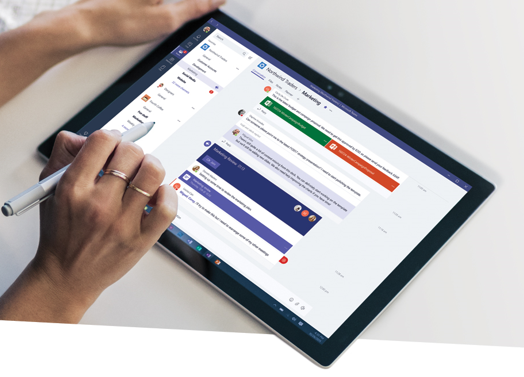 Microsoft Teams vous aidera à travailler plus intelligemment, où que vous soyez et sur n’importe quel appareil! We regularly organize free webinars and events – to register it’s here!